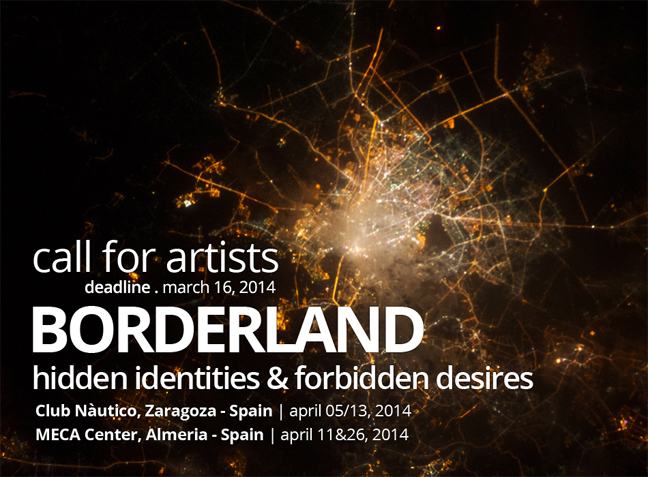 “Borderland – Hidden Identities & Forbidden Desires” international art festival of photography, video art, installation and performing art which will be held in Zaragoza (Spain) at Club Nàutico De Zaragoza, from the 05 to the 13 of April 2014, and in Almeria (Spain), at MECA Mediterráneo Centro Artístico, during the 11 and the 26 of April 2014 (at MECA, video screening only). Borderland – Hidden Identities & Forbidden Desires analyzes the secret parts of our identities; the raw core of our being without any mask, and all the underground wishes and aspirations we want to achieve and we can’t achieve in our everyday life. Undressed of all the constraints, prohibitions and needs imposed from our social roles, we can disclose the unseen facets of our personalities and share their uniqueness through the art. The festival shines a light on the unwritten and unspoken desires we still would like to realize. This is Borderland. The event is open to photography, video art, installation and performing art. Exhibition at MECA (Spain) is open to video art only. Club Nàutico De Zaragoza, with its cultural space “Sala del Río”, offers a unique platform for the cultural promotion and exchange in the heart of the city of Saragossa. The space presents a rich calendar of exhibitions, workshops, cultural meeting and conferences, book presentation, video screening and many more which increase the cultural offer of Saragossa. MECA Mediterráneo Centro Artístico, is one of the contemporary art galleries more active and consolidated in Spain. 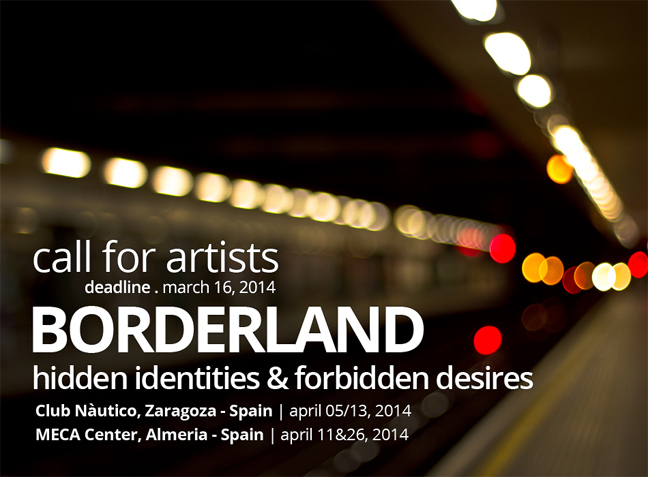 The number of works you can submit is unlimited. The participation in the International Art Festival requires an entry fee (different for each deadline session) only for selected artworks. 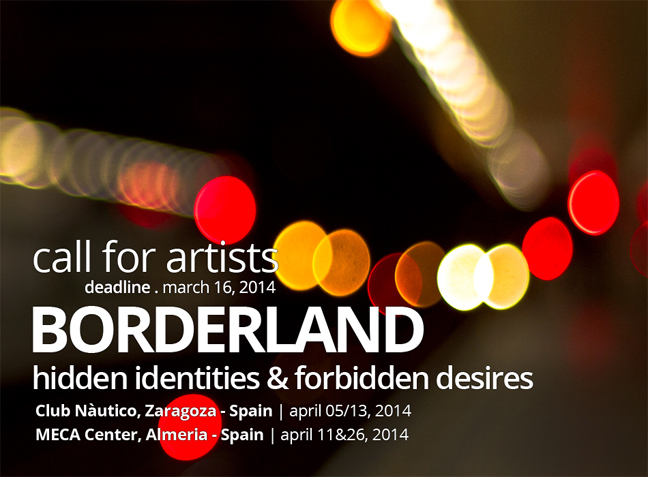 Participation open to: artists, architects and designers, associate groups and studios.